Here it is!!! Ezekiel Bread Giveaway!!!! Everyone was so interested in the Ezekiel 4:9 Bread review I did a few weeks ago and now we have an Ezekiel 4:9 Bread Giveaway. Check out the Make Life Special Ezekiel Bread Review to read all about this great bread — it’s delicious and nutritious! There are also some easy recipe ideas in the review as well. Ezekiel Bread is completely different from other breads since it contains all natural ingredients, is made from sprouted grains, and it contains NO flour. 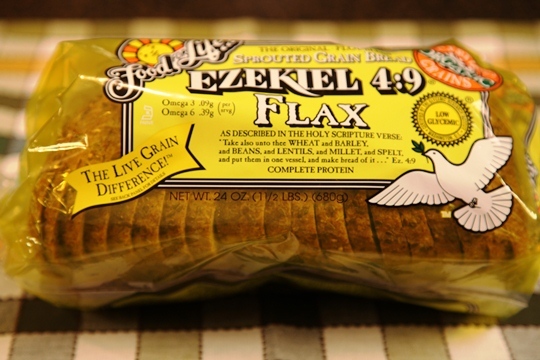 We are giving away two loaves of Ezekiel 4:9 Bread to one lucky Make Life Special reader! The loaves will arrive at your doorstep – ready to pop into the freezer or enjoy right away. Tell me about one of your recipes you would like to try with Ezekiel 4:9 Bread. Use the comment section below to post your entry. Have more than one recipe idea to share??? Then post several comments and each comment will count as an entry! Tell me what nutritional benefit you see in Ezekiel 4:9 Bread. Post your comment below. Have more than one nutritional benefit you like about this bread…..Then more comments you post below…the more chances you have to win!!! “Like” Food For Life Ezekiel 4:9 Bread on Facebook and post your comment below. Click here : Food For Life Facebook. “Like” Make Life Special on Facebook and post your comment below. Subscribe to Make Life Special on YouTube and post your comment below. Already tried Ezekiel 4:9 Bread?? Tell us all of the things you like about it in the comment section below. Note: Ezekiel 4:9 Bread is sponsoring this giveaway. No compensation was received. This contest is now closed. I want to try to make a bread pudding with it. It’s whole grain and sprouted grain. It has some protein in it.